Every winter I always try to shoot two objects, M42 and the Horse Head + Flame Nebula. Both objects are perfect targets for both beginners and seasoned imagers as they are large, bright, and full of color. 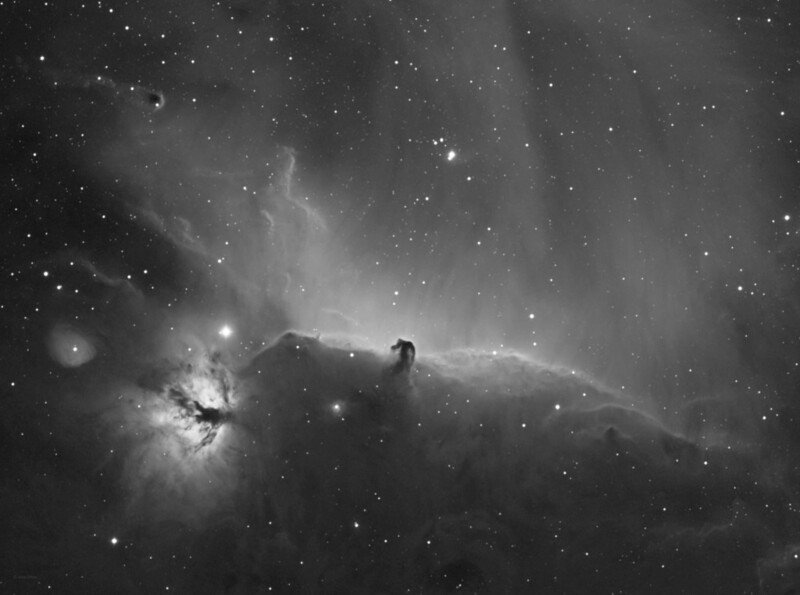 Here is my yearly attempt of the Horse Head + Flame nebula from my light polluted Bortle 6 home observatory. I went for two different looks, short exposure LRGB as shown above and long exposure Hydrogen Alpha as shown below. The Horse Head Nebula is a dark nebula in the constellation Orion and you can easily see why it gets its name. Star formation has been verified inside of the Horse Head with infrared imaging. The dark nebula which forms the Horse Head stands out against the back drop of emission nebula IC 434. The curtain like effect seen in IC 434 is probably caused by a magnetic field radiating out from the Horse Head area. Just below and to the left is the bluish reflection nebula NGC 2023. Below that is a smaller reflection nebula IC 435. 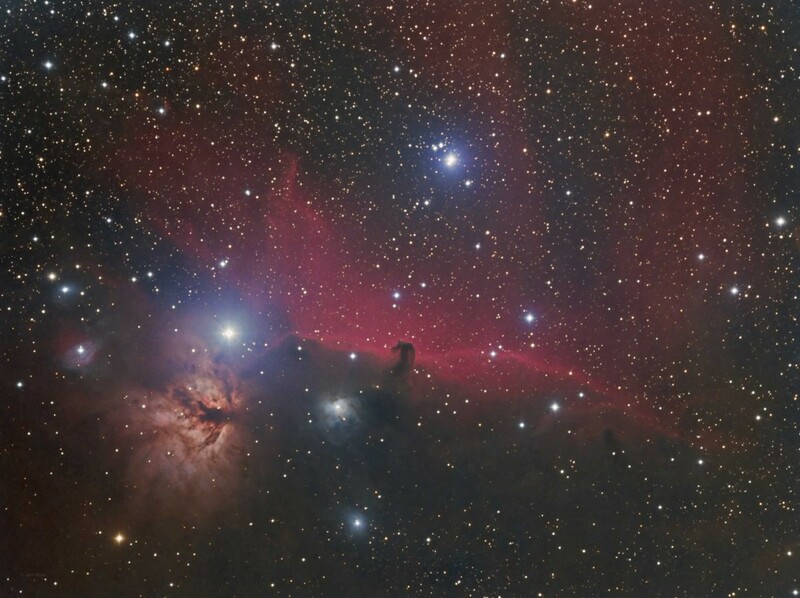 The Flame nebula is an emission nebula to the left of the Horse Head nebula as shown in my image. Alnitak, the bright star in the image, is the illumination source for the Flame nebula. Active star formation is occurring in the Flame nebula and a very young star cluster has been detected inside using near infrared imaging. Moving away from the tip of the Flame is reflection nebula IC 432. Just above that is reflection nebula IC 431.